Category: Blankets and Throws. Tags: decorative throw, gift, Gifts for her, hand woven, India, Rabari embroidery, shisha, throw, traditional handicraft, hand embroidered. 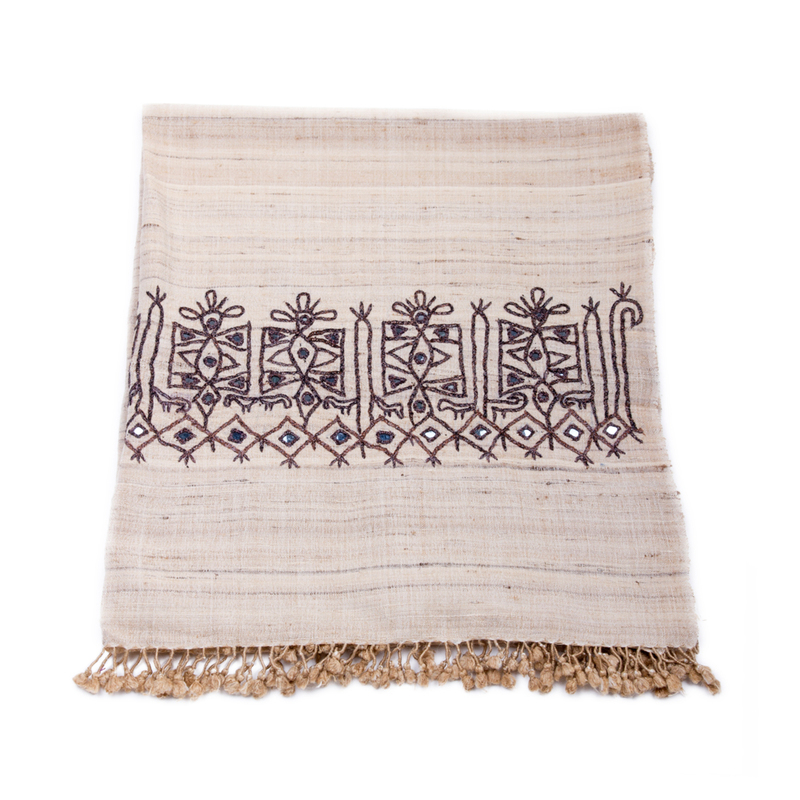 Striking decorative throws which have been hand woven in a mix of silk and natural undyed wool in Gujurat, India. Each throw features a hand embroidered band of Rabari embroidery along the two shorter sides complete with shisha or abhla, tiny pieces of mirrored glass which glimmer in the light. Scroll over the images to see the natural colours and the embroidery in more detail. 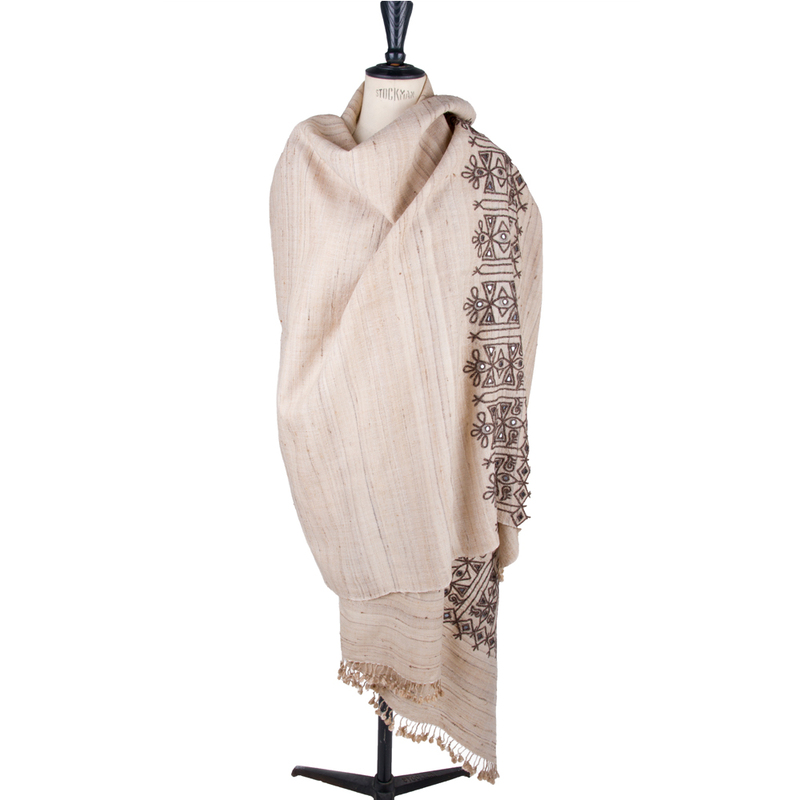 This decorative throw has a soft silky feel to it and fringing on the sides. It would make a perfect throw across the foot of a bed or over the arm of a sofa or chair. 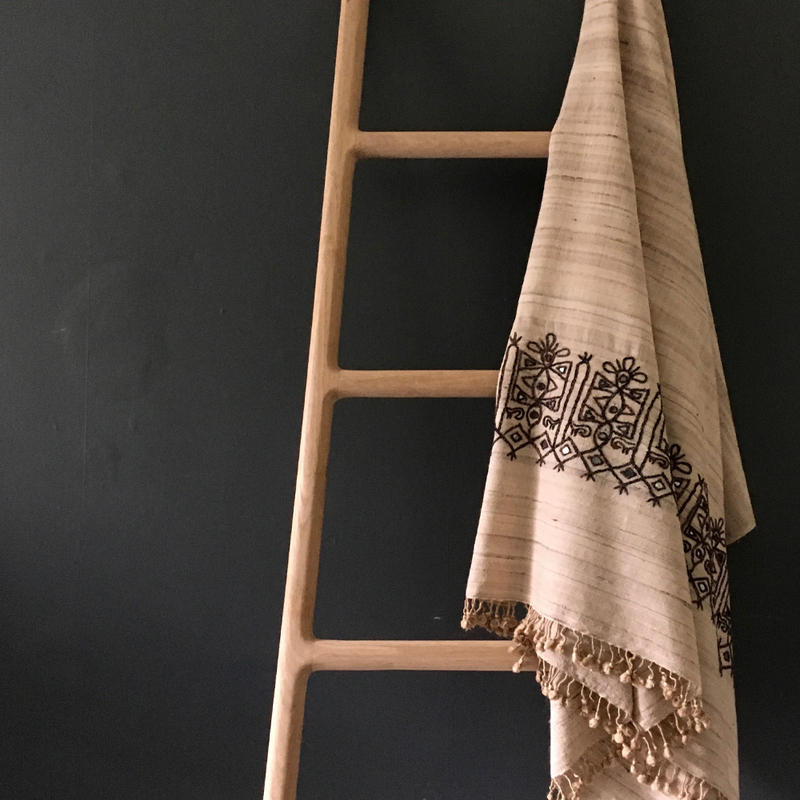 The subtle natural colour of the fabric and complimenting wool embroidery lends itself to a modern rustic or contemporary interior. These decorative throws could also be worn as a shawl. The tiny pieces of glass add a touch of glamour creating a striking cover up for chilly evenings.